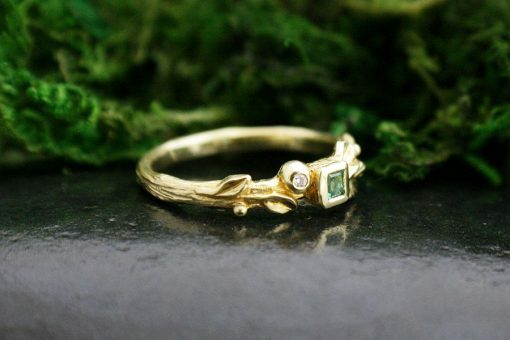 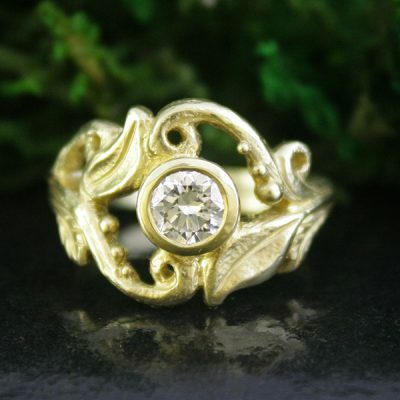 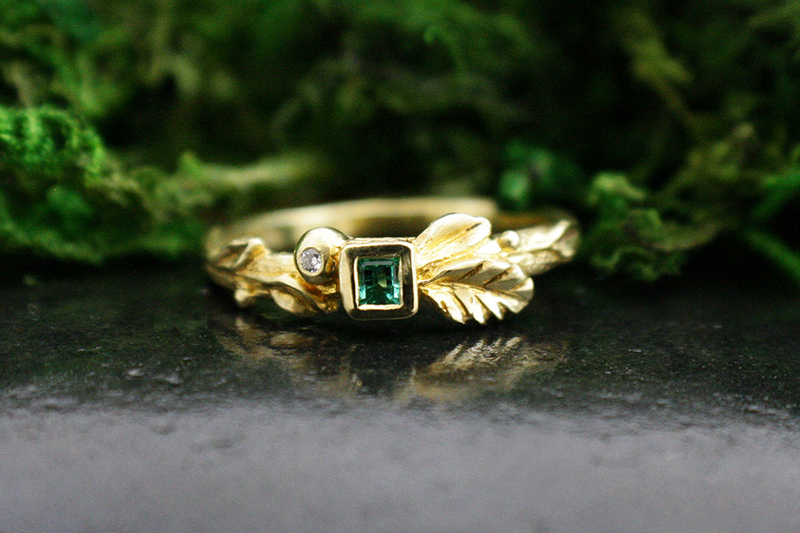 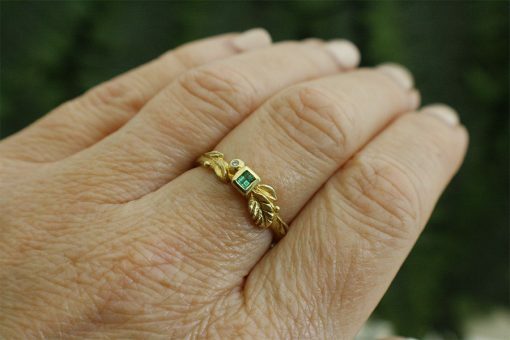 Hand carved woodland style ring featuring a princess cut emerald and a little flash of diamond set in 18k gold. 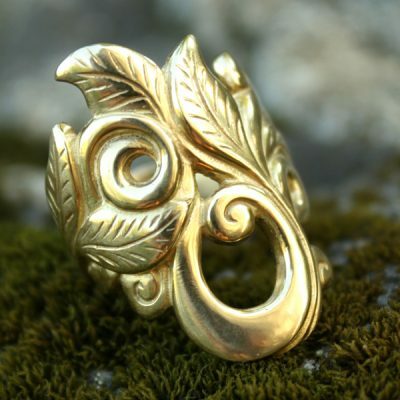 Inspired and guided by the magnificent force and breath of Mother Nature. 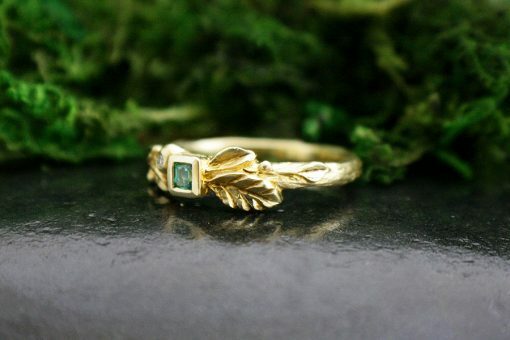 A delicate tree branch wrapping around your finger flanked by leaves and drops of morning dew.